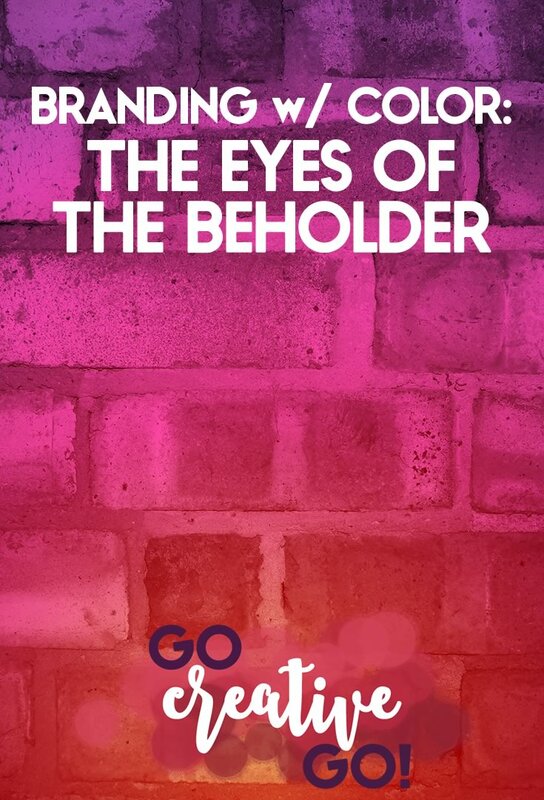 Branding With Color: The Eyes Of The Beholder(s) - Go Creative Go! In the midst of initial discussions with a brand new client in need of branding and identity development, as well as some other creative services, I, obviously, asked him about his color preferences. He mentioned that he preferred warm colors, then contradicted himself (in my opinion) by discussing his favorite blues and green tones. I immediately consider it a great challenge and decided I would create some of the “warmest” blue/green schemes possible. To my surprise, the client found all of my carefully selected swatches not-to-his liking. In fact, he felt that they were all too feminine! He then thought we should change direction completely and mentioned gray and maroon. But I wasn’t really ready to give up yet. I finally managed to put together a blue/green scheme that the client found masculine (the word I would use instead would be darker than the original schemes) and I still found colorful and vibrant without having to resort to gray (something I try really hard not to do – we’ll talk more about that in another read). What I learned from this is that we all see the very same colors differently. While I almost automatically lump blues and greens into the “cool” group, in this client’s eyes they conveyed warmth and a level of comfort. When I put my mind to the task I found several schemes that used blue and green in variations that immediately felt “warm” to me. Alas, they also immediately felt feminine when viewed by my client. What Does That Color “Say” To You? To Your Audience? Whenever I talk to a potential client or peer about color, I’m often surprised by the rather vehement responses. Some see yellow as warm and sunny, while others find it pale, sour, watered down or too much like a school bus. Red can evoke a sense of warmth and passion. On the flip side many see it as a sign of danger and a warning to stay away. While you might be head-over-heels in love with a certain color or scheme, it’s important to do a little beta-testing to discern what impression that color or scheme evokes within your audience, your intended clients. Take Care With Color For The Best Experience! The point to take away from this post is that colors aren’t black and white – I couldn’t resist the pun – in the eyes of the person viewing them. The meaning, feeling and ideas invoked by that color can and will differ greatly. Some see purple and think regal and elegant, while others see the same color and think flirty and fun. Color is, absolutely, something that changes greatly in the eyes of the beholder.